DY staff not only look cool, they write poems. The internet can’t get enough of an airline’s clever response to a passenger’s unique complaint. 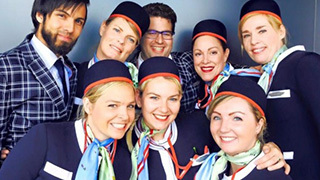 Passenger Gus Dolding took to Facebook to criticize budget airline Norwegian Air about an extra fee he was charged on a recent flight. But the 27-year-old musician had a unique way of expressing his opinions — in the form of a poem. The passenger then described how he was frustrated by having to pay a 120-euro ($190) fee to change the name on his flight ticket after an error.